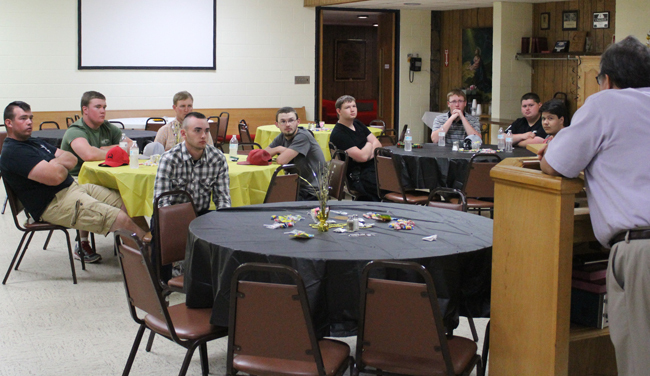 Hens and Knights met Wednesday as HHS alums honored the Henryetta high school boys graduating as part of the 2017 HHS class. 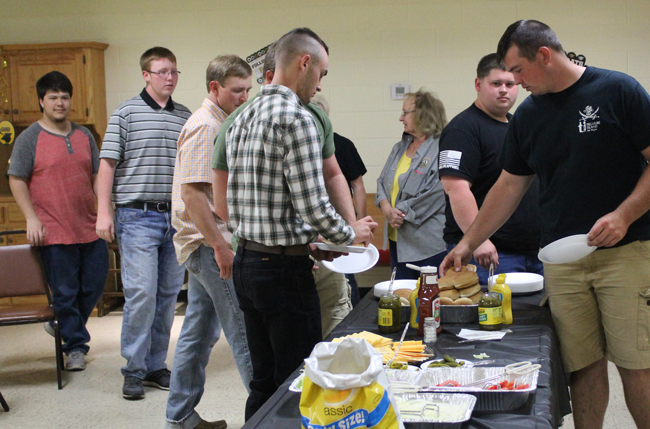 The annual senior boys' cookout was held at the Methodist church. 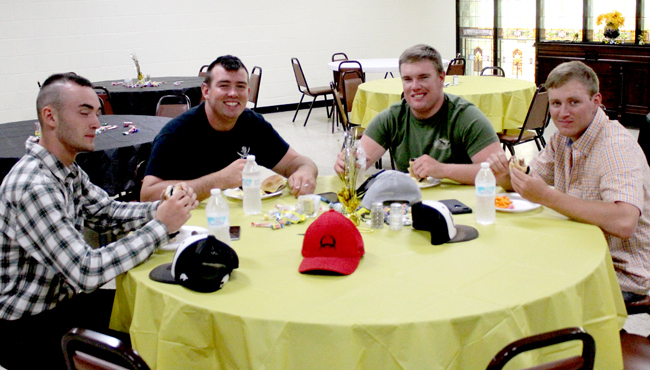 Following a lunch of burgers and treats, the boys were introduced to several HHS graduates and heard guest speaker James Williams talk about how quickly time will pass. 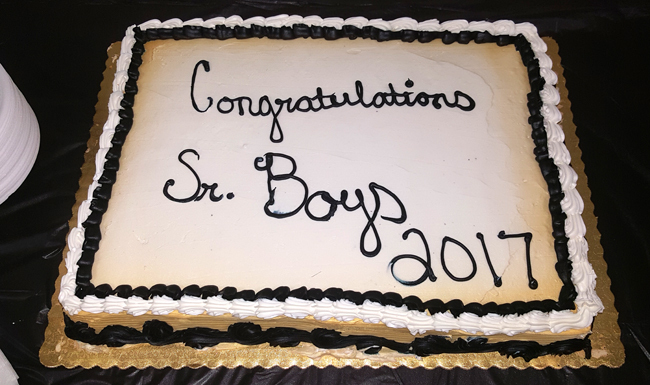 He encouraged the boys to make the most of their years ahead.